The village hall in Cardington is one of the most attractive in Shropshire with an elegance that transcends the utilitarian impression often found in such buildings. The retention of the original beams in the vaulted ceiling, with its wrought iron chandeliers and the extensive use of oak in the refurbishment creates an ambience ideal for a variety of events: from intimate family gatherings such as weddings and parties to the more mundane activities like yoga and keep fit classes, plus dramatic and musical occasions. The hall plays a particularly vital role hosting the cream teas when the village shows itself off at the popular annual opening of its gardens. Formerly the village school it was built by the local charitable trust in the mid 19th-century, to replace the old schoolhouse next to the church. Over the years the number of pupils gradually diminished and the local authority decided to close it. Despite much local resistance it ceased to be a school in 1984. 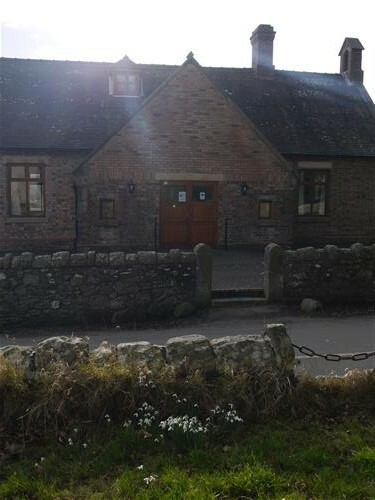 Though facilities in the semi-derelict building left a lot to be desired it began to be used as a village hall. A group of villagers decided to improve it with minor repairs and re-decoration. But it was an official from the Shirehall who inspired them to think outside the box and do something altogether more fundamental. Under the leadership of chairman David Pickard they considered what they would really like to do and a wholesale makeover was agreed, with new furniture and an upgraded kitchen. Money from the millennium fund and the lottery plus local fundraising paid for the work done during 1999 to 2000, creating the hall as it is today. Its wide range of uses emphasis the thriving community spirit in the village and a variety of local groups use it on a regular basis including the monthly film night Flicks in the Sticks. And of course it is the polling station at election time and the local Kids Club runs its yearly car wash in the car park.